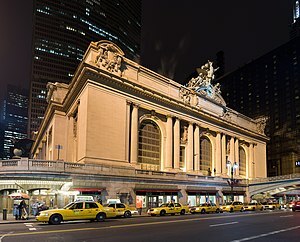 This is the Grand Central Station of my web sites. Its blog, “Sensing The Way,” is devoted to the unfolding life process of the individual human being. From here you can easily link to my home site at the Authors Guild in New York, to my professional site at Yahoo, or to any of the five other blogs I have at WordPress. Or one can peruse my library collections at Goodreads and LibraryThing, and, of course, view my profile pages and activities at Facebook, Google, You Tube, Twitter and elsewhere. You’ll find the whole network laid out here in each of its distinct aspects — — and, of course, can venture into any part of it whenever you choose. Remember: If you ever get lost in it anywhere, you can always come right back here and find your way again. The activities began in late 2005 with www.generuyle.com, my home site at the Authors Guild in NY. It lays out what IS “my work,” tracing on its Home page how things arose in my initial contact with Dr. Jonas Salk; then, on the Human Realm page, outlining the core of my book (The Stuff Of A Lifetime: Self, Sense, Soul, and Spirit in Human Experience); then the Life Sketch page includes my involvement in theater as actor and then playwright/composer — giving the broad-stroke picture of my professional endeavors as well as my life in general. My blogs began in 2011 with www.sensingtheway.com, www.gatewaysintotheworld.com, and www.prairywriter.com, with a broad, media-enriched one only now getting underway entitled “The Splendor of Human Seasons.” Each blog has a different style of presentation, molded by its aim. Sensing The Way is an experience-based exploration into the life-process of the individual person, likened to a train ride that keeps on to its end. Gateways Into The World delves into the ancient, classic forms found world-wide that permeate all human culture (Art, Religion, Philosophy, History, Politics & Economics, and Science) — presenting these as distinct, durable, and viable “Modes of Human Becoming,” giving vivid examples of each as found in the lives of James Cagney, Nikos Kazantzakis, Paul Tillich, Oriana Fallaci, Thomas Jefferson, and Stanley Keleman. Out Where The Big Waves Are is a blog devoted to concentrated articles and substantive overviews on the life work of figures of world renown. A pair of dual websites — www.thehumanrealm.com and www.mylifeinthemovies.com — are also near opening, which will occur in the fall of 2014. The first of these will elaborate further upon Stanley Keleman (beyond the introduction given in my own book found in the Gateways Into The World blog), featuring his widely-acknowledged and pioneering accomplishments in Formative Psychology, while the second site will set forth a fresh undertaking that employs life-narrative, popular films, and music clips in a highly interactive and media-enriched format. Both sites are currently under construction at Yahoo and will be housed there. My modest-sized personal library — with but a fourth of its books cataloged so far– is available for on line viewing by anyone interested at LibraryThing. My Timeline and its accompanying Photobiography albums are both located and easily found at Facebook. A personal note . . . Here is a minute-and-a-half sound file I made. It is to bring your own experience of life to the fore. Any voice has in it the sounds of a soul (on this tape, you’ll hear mine), which conveysthings about a person that can never be captured in words, signs, or gestures alone. Tone of voice, tempo, phrasing, and even the pauses “speak” — as telling parts of what that person is generally experiencing at any given moment. to plant this blog’s unfolding . 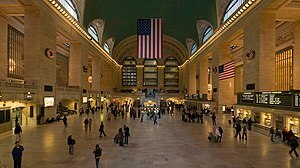 . .
As this is my network’s Grand Central Station . . . I regard this website as a train ride into human experience. My doctoral program, begun in the early 1970s, developed a fresh way to explore this little-understood reality. A striking thing about human experience is that it is not — nor can it ever be — the exclusive province of any academic discipline, profession, or field of study. For it must include all of these and more. When it comes to human experience, either everyone is an expert or no one is. And for those who could use a reminder of what train rides are like, here’s one of less than a minute . . . Please post on the blog whenever and on whatever page you wish. A passer-by who sees your post may well stop long enough to post a quick reply, a quicker and better one than any I might be able to offer. Moreover, should you find yourself so inclined, please don’t hesitate to do the same — and I hereby thank you for that in advance. Sights and sounds engage the muscles of mind, body, and memory that are required in an undertaking such as this one. The attached video was compiled as a callisthenics, a warm up activity to aid in this. The first two of its segments are both from Mexico, which is indeed a most fitting way start a plunge into life such as ours. For, as you’ll see, Mexico is nothing if not a mixture of everything! It’s true glory is that it embraces bold contrasts and opposites in an ongoing life and death carnival celebration that never ceases. If you’ve been there — as I have on many an extended stay in my Mexican home with my “second family” — you’ve seen that; and if you haven’t, then here are some actual slices of it . . . with music colorful and passionate enough to set it all before you . . . so you can see, hear, feel, smell, touch, and taste it. And the pieces that follow are from a few other places around the world. 1. “Huapango,” a symphony by the gifted Mexican composer José Pablo Moncayo, which premiered August 15, 1941. Moncayo was invited by Serge Koussevitzky and Aaron Copland to attend the Berkshire Music Center (which almost immediately became part of the Tanglewood Music Festival and summer home of the Boston Symphony Orchestra) — where he was also to meet a slightly younger twenty-four year old Leonard Bernstein. The last two movements of Moncayo’s work were written while he was in the United States at this Berkshire conference . . . and, no doubt, mindful of and missing his native country. 2. From a Mexico City performance by the Irish pianist and composer, Philip Martin, playing one of Louis Moreau Gottschalk’s extremely difficult and very famous pieces, “The Banjo.” Gottschalk (1829-1869) traveled the world for years and performed extensively as a virtuoso pianist and composer — thus absorbing all kinds of influences: European, Caribbean, Cuban, Brazilian, and then introducing these into American culture, which places him at the head of of a whole Third Stream in American music. The son of a Jewish businessman and a Creole mother, he was born in New Orleans. 7. The Russian classical pianist Evgeny Kissin playing the first of the four parts to Sergey Rachmaninoff’s Piano Concerto no 2, with Sir Andrew Davis conducting the BBC Symphony Orchestra. And . . . when you turn to the actual postings of the blog itself, in whatever order you choose to click, then everything else will unfold as a matter of your own making. Your mind and words facinate me!! right to the top of the summitt …even though there are times when my grip becomes a little unstable…i just hold on, and NEVER look down. LIFE and LOVE that is within each of us …if we would only be aware. GENE, DEAREST GENE!!!!!!!! I AM TRULY F A S C I N A T E D !!!!!!!! I CAN FEEL A LOT OF INSTANTS HERE!!!!!!!!! What a delight to find you made it here! That you find such significance in voiced words — taking both right into your soul — is, I believe, an indication of incredible focus and presence on your part, and I greatly respect you for being so “fully there” as you had to have been for this to come about at all. Your being the artist you are is an integral part of such occurrences, isn’t it. I’ve held in my mind the wonderful conversing that took place at Susan’s grand gathering, and am already following through on getting the Henri book to you as soon as possible. Looking forward to continuing the richness of our incredible — and far too brief — encounter, and to keeping the wonderful exchanges going . . . This site shows the remarkable and unique power of the arts…thank you for creating it! As I climb my own mountain, I will remember to always hang on, look forward, and keep moving. Carol Jean ~ What a treat to see our paths have finally crossed again after forty years!! It shows we never forgot each other, and that both our minds are still intact! So looking forward now to our staying touch from this point on, as we find out what happened in the lives of both during all the time in between. I’ll send all my contact information. What a delight to see the spirit of a mountain climber is alive within you. God be with you as you keep on with your ascent to the summit. You can count on it. Wishing the same to you as well. Hooray! This is the Link to my network site. #4 What Do You Call The Watchamacallit?